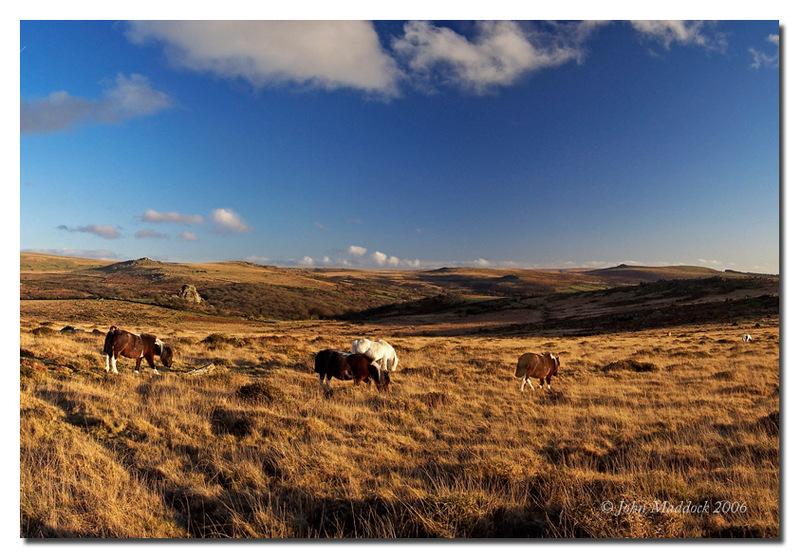 Since the setting sun was casting such a lovely glow over the landscape I thought I'd take this one as a pano. Just as I pressed the shutter on the first shot the left hand pony stopped munching on the grass and started walking: right into the next frame. No problem I thought as he setted down to eat again, right up until I pressed the shutter for the second time at which point he wondered off right into the third frame! A little further on, these ponies stayed still! 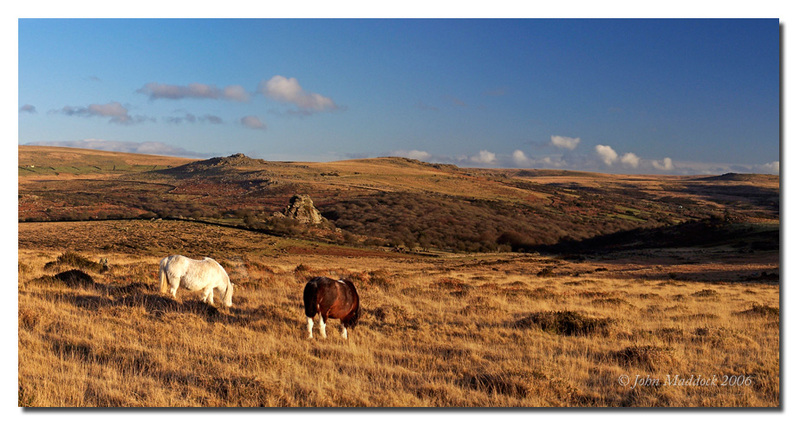 I love the rolling countyside you have in these photos! The second would have to be my favorite of the bunch, followed closely by the first. Excellent work! Thanks for the comments Jaki and Bob! I really do count myself very lucky to live right next to a national park, and have scenery like this 10 minutes away from where I live. Very nice John. What a great locale you live in. Handy too!......cheers.....thekman. Nice shots of the scenery......Ican just sit at look at rolling hills and never get bored.